From the bucolic charms of Hampstead Heath to the bustle of Marylebone, this pocket-sized guide will lead the serious rambler and more casual walker on voyages of discovery, each with great pubs at its heart. The walks are clearly mapped and illustrated, with detailed information on how to link multiple walks together. 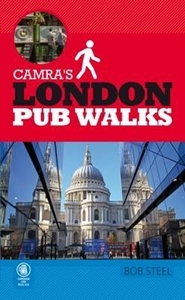 Over 160 pubs are featured on 30 walks and 3 special city tours by bus, tram and riverbus. Detailed pub listings are accompanied by notes on cultural and historic items of interest to be discovered along each route.